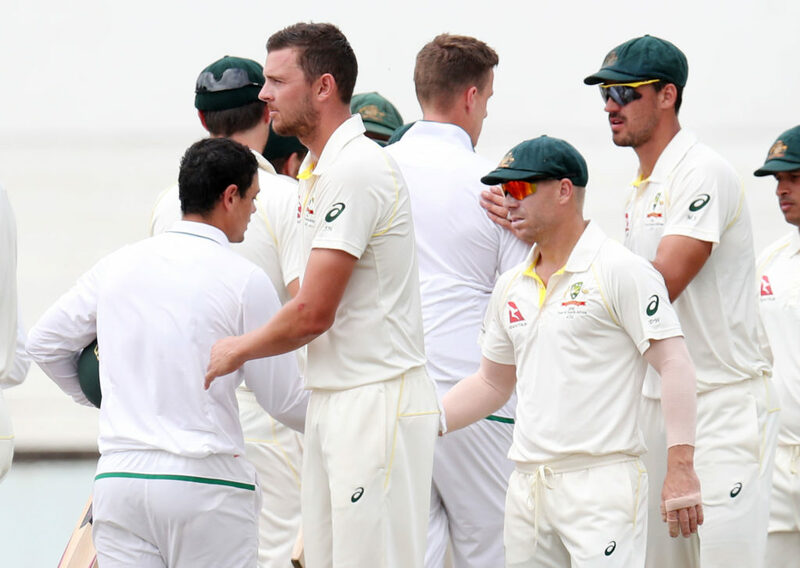 Australia’s David Warner and Quinton de Kock of South Africa were both charged by the ICC for their confrontation at Kingsmead in Durban on Sunday. Both teams were given until Wednesday to respond to the charge. Warner and De Kock were charged under the ICC code of conduct clause of ‘conduct that brings the game into disrepute’, following their altercation that has dominated headlines after the game in Durban. Warner faces a more serious level two charge and De Kock a level one. This means Warner could be banned for one Test, but the heaviest penalty De Kock faces is a fine. The matter was debated in a meeting at the hotel being shared by the two teams in Port Elizabeth on Tuesday night, with the Australian and South African team managers Gavin Dovey and Mohammed Moosajee speaking with match referee Jeff Crowe. The two players were involved in an ugly confrontation during the tea break on Sunday which was caught on camera. Warner is reported to have called De Kock a ‘bush pig’, and the South Africa batsman is alleged to have responded with a derogatory comment about the former’s wife.